Kidderminster Harriers have extended the loan of forward Jordan Murphy from League One Walsall until 9 January. Murphy, 19, initially joined the struggling National League club in October and scored on his debut at Macclesfield Town. He also netted the only goal as Harriers won their first game of the season against Woking. 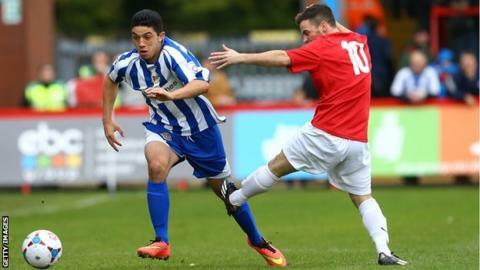 Murphy, who has made two appearances for the Saddlers, spent seven months on loan at Worcester City last season. After going 18 games without a win, Harriers have now won two out of their last three matches to move off the bottom of the table but are still six points from safety.